All of our work rest blades have a 5 micro finish to aid in wear reduction. Sizes include blades as small as .010" thick. We can manufacture one piece carbide up to 150 inches in length. 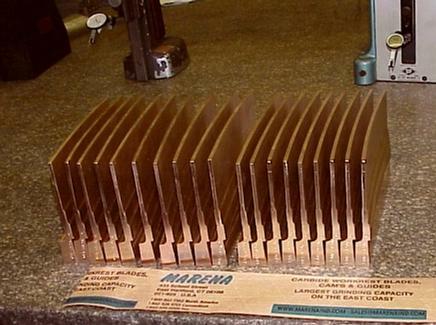 We have hundreds of work rest blades in stock for immediate delivery. Read below about our retipping, regrinding and resharpening services. Save money by reconditioning used blades! We Recondition your used blades back to new condition. Our 24 page Centerless Grinder Blade Catalog is available for download here.